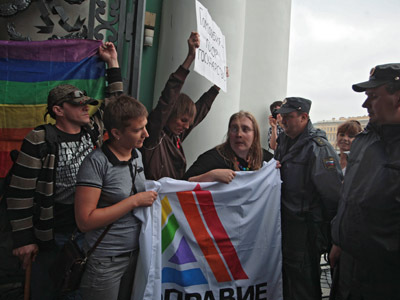 Russia has disassociated itself from the language used in a statement on fundamental human rights and freedoms by the G8 Foreign Ministers Meeting Chair, as the document listed both gays and bisexuals as separate groups. Foreign Ministry spokesman Sergey Ryabkov told reporters that Russia considers inadmissible any aggressive propaganda and imposing of ways of life and values that could insult the feelings of a significant part of society, under the excuse of protecting the rights of so-called sexual minorities. The statement of the G8 Foreign Ministers Meeting Chair reads that “the ministers reaffirmed that human rights and fundamental freedoms are the birthright of all individuals, male and female, including lesbian, gay, bisexual or transgender individuals”. A remark is included in the document that the Russian Federation disassociates itself from this language, given the absence of any explicit definition or provision relating to such a group or such persons as separate rights holders under international human rights law. Ryabkov explained that Moscow cannot support attempts to artificially distinguish this category of persons as a separate group which allegedly requires special protection of its rights within the international observation of human rights. He stressed that international law does not have separate norms detailing the protection of people in accordance with their sexual orientation or gender identity. 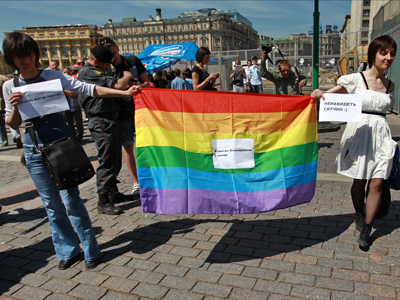 Russia has started an active campaign against gay propaganda this year – a special law was approved and signed into force in St. Petersburg, prompting a group of parliamentarians to suggest approving a similar law on a nationwide scale. 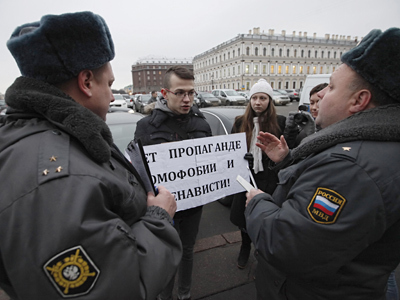 Two people have already been brought to justice in St. Petersburg for displaying a poster reading “being gay is normal” in the street near a kindergarten. 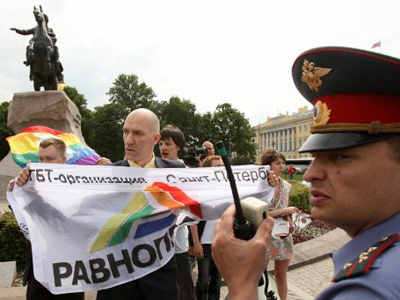 Russian and foreign gay rights communities have subjected the St. Petersburg law to severe criticism, with one activist suing the St. Petersburg MP who defended the bill over damages to his honor and dignity.